Is your vehicle driving on a set of tires that match the season and common road conditions? Here at Crestview Chrysler in Regina, we want our customers to be as safe as possible, which is why our service and parts center sells tires at competitive prices! We stock all popular name brand Chrysler tires for Moose Jaw area drivers and beyond, so let us help you with your next tire change! Top Quality: Our tire center has no shortage of quality brands and tire sizes, so you’re guaranteed to get the perfect set for your vehicle. You’ll also have the satisfaction of knowing that factory-trained technicians installed your new tires. Certified Products: The Crestview Chrysler service and parts center is Chrysler certified, which means that the manufacturer approves all products sold here. In addition, each tire in our inventory has been tested and inspected by a team of professionals for quality assurance. 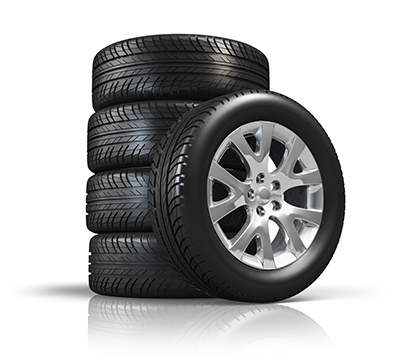 Easy Appointments: Don’t get stuck waiting around for your new tires! Just give our service team a call at (306) 525-5411 or make a service appointment online and we’ll be able to get your car in and out of our garage with a fresh set of tires in no time. Take the Manitoba Expressway headed east and continue onto SK-1 E.
Take the exit toward Lewvan Drive and turn left onto Lewvan. Make a right onto Saskatchewan Drive and then turn left onto Albert Street. You’ll find our showroom and service center on the right!